My first computer was a TRS-80 Model III. I was about 14, about the same age as my son is now, and I subscribed to 80-Micro magazine. Each month I’d receive a fat magazine filled with printed source code. I’d spend hours laboriously typing in the listings, save my work to a cassette tape drive, then spend hours more finding typos in the source I’d keyed in until, at last, I was able to type “run” and play the game. 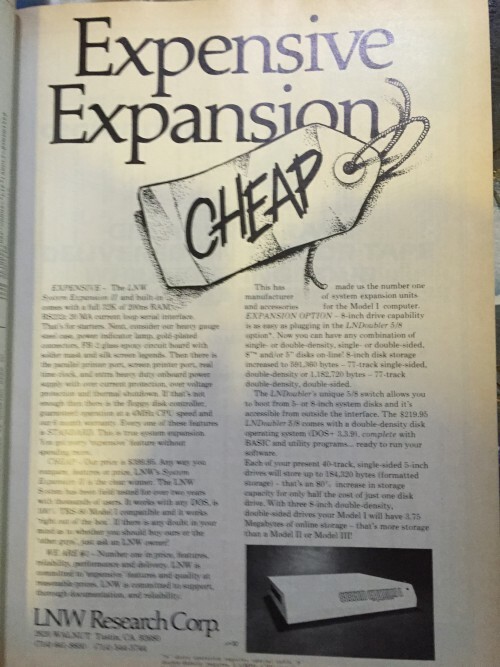 So different it is now…the source code to a modern game would be tens of thousands of pages long. A little while my wife happened across an estate sale. A lady’s dad had passed away and she was preparing to sell his home. Intrigued, she stopped by to take a look. Along with the clothes, and yard tools, there was small parts organizer. 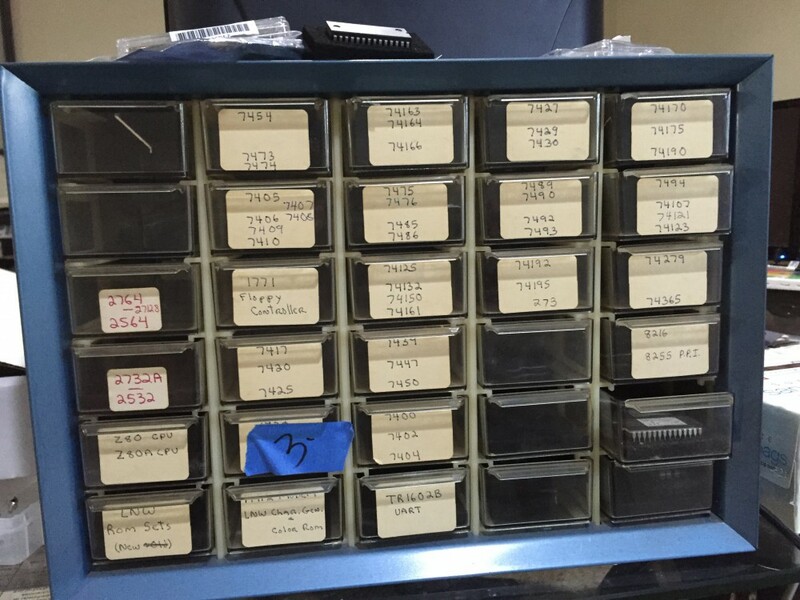 Marked “$5”, the drawers all contained integrated circuits. She thought it might interest me, purchased it and brought it home. 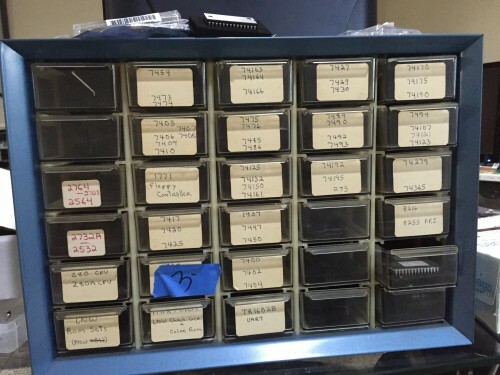 When I saw it, I was astonished: The drawers all had labels like “LNW Rom Sets (new)” and “1771 Floppy Controller”. Who could this person have been, I thought? The LNW80 was originally released as a kit. Had he purchased the kit? Were these the additional components necessary to complete it? Some of the chips appeared to be hand-modified. 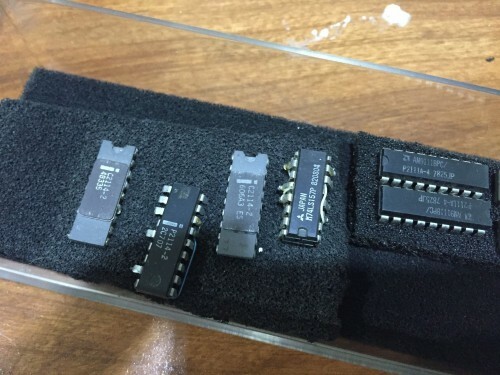 So was the person who had originally owned the box an electrical engineer who had worked at LNW then retired? Or perhaps he had worked at Commodore, which had its base of operations in West Chester PA until 1994, and which was responsible for the famous Commodore 64 and Amiga computers. The parts box seems kind of melancholy to me, a box of unfinished plans and incomplete dreams that hearkens back to a golden age of computers before copyright law and giant corporations, when anything was possible and anyone could do it. I would have liked to meet and talk to its owner before he passed away. I think about the way things were then, and wonder what kind of world my son will find. What will be his TRS-80? Will it be virtual reality? Drones and robots? 3D printing? Or something as yet unforeseen? 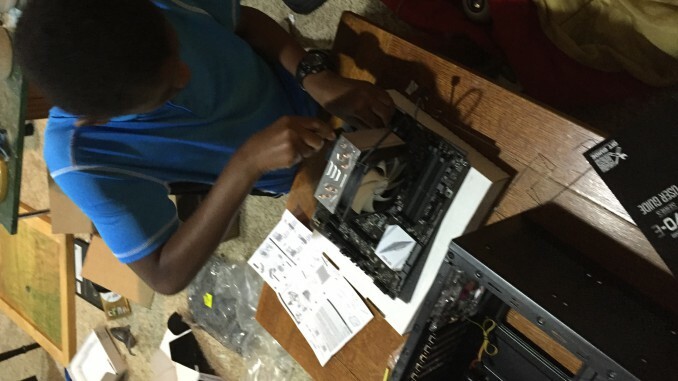 Great article, great memories, and a fantastic computer. Hope you and your son have many great memories together exploring new (and legacy) technology..